My children’s school has a requirement for them to do volunteer work throughout the school year. Much of it is done at school itself, as they take on projects each Friday. But as the kids hit the higher grades, they’re required to do some volunteering on their own in the community. It’s a nice requirement, if sometimes a headache for us to find time. But the hardest part of all was finding places to volunteer with the kids. This is one of those things that gets easier as the kids get older. An awful lot of volunteer opportunities are for adults or late teens at the youngest only. Next come the ones that only take volunteers ages 12 and up, or thereabouts. Fortunately, there are also places where you can volunteer even with younger children. My kids’ favorite place to volunteer is called YAPS. It’s an animal placement society, and they accept volunteers as young as five years old. It’s really popular with kids from their school in general – after all, most kids love working with animals. Kids can help with laundry and certain kinds of cleaning (but not all of it until a certain age), pet the cats or dogs to keep them used to people, or even earn the right to take the dogs for walks and help train them. Not all shelters or rescues take kids so young. Many require children to be at least 12 or so. Still, if you can find one that allows young volunteers, it’s an easy way to get your children into the idea of volunteering. Keep in mind that children can get quite attached to the animals, and this can be difficult when the animals are adopted. I’ve talked to my kids about it being okay to miss a particular animal but still be happy that it got a new home. It helps. Many communities have regular clean up days, and so long as parents are along, they aren’t always picky about age. Check on requirements for individual events, however, as some will say 12 and up, or similar. If you can’t volunteer for an official clean up day, you can always make your own. Go to a park near you and clean it up with your kids. Food banks are always in need of donations. Whether you add a little extra to your cart for charity when you go grocery shopping or set up your own collection event, this is an easy way to show your kids how to help the less fortunate. Nursing homes and senior centers often welcome visits from children. Kids can play games with the seniors or just talk with them. Contact individual locations for their rules on this kind of volunteering. For kids old enough to write, letters to soldiers are often very welcome. It doesn’t have to be a long letter; in fact, some websites give you tips on what to say in your letters to soldiers. My kids’ school had them do this last year and it went really well. There are also websites where you can simply type your letters in. What’s your favorite cause? Is there a place that will allow you to collect donations for them? You can donate pet supplies to animal rescues or shelters, for example. You can collect supplies for homeless or women’s shelters. Contact the charity you want to do this for, and find out what kind of rules you should follow when you do this for them. 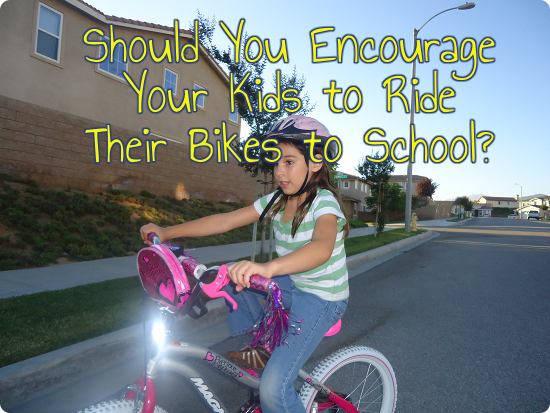 Are your kids more active? There are walks and runs for all kinds of causes, and some even have events specific to children. It’s fun and healthy. Libraries sometimes allow children to volunteer, although age restrictions are common. Still, once your kids are old enough it’s a great place for them to go, especially if they really love books. Nothing else appeals to you or your kids? Make up your own volunteer opportunity. Take a look at ways you can help whatever cause interests you. Get creative. Whatever kinds of volunteer you do with your kids, make sure it’s something that interests them. It’s hard for kids to see the point if they’re bored with what you’re doing. Make volunteering something they enjoy so they’ll want to do it again and again. If this is something your children’s school requires, as ours does, think about continuing to volunteer even beyond what the school requires. We continued our volunteer time at YAPS even over the summer. It gets more of the point of volunteering across, in my opinion, if it is done beyond simply what the school requires. 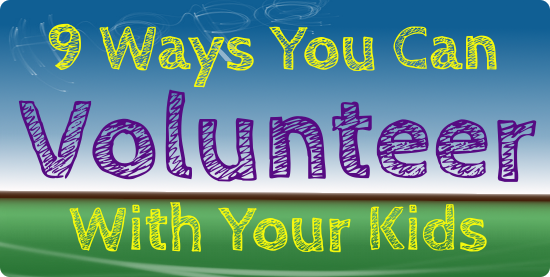 You show your priorities by keeping volunteering with your kids a part of your life. 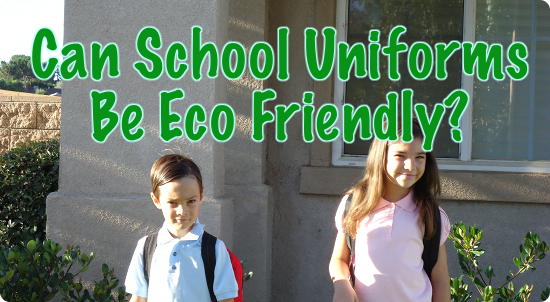 Can School Uniforms Be Eco Friendly? Kids in some areas are heading back to school already. Mine have about a week left until school starts, so it’s uniform shopping time. My kids warned me at the end of the last school year that they would need new this year, as both were outgrowing what they have now. They thought I would start shopping right away, but no way. I waited because there’s no point in risking a summer growth spurt. The problem with school uniforms is that you have to buy particular fabrics. My kids’ school actually specified a particular polyester/cotton mix on the pants at first just to make sure parents really understood that they’re serious about the no denim, corduroy, etc. rule. They did clarify it when parents protested that ruling on the exact mix (60/40) was overkill. Still, it brings up the point – can your child’s school uniform be eco friendly? School uniforms do have some advantages, environmentally speaking, even if they aren’t made from ideal fabrics. You don’t have to buy a lot of school uniforms, just enough for your kids to wash between wearings. Yes, I make my kids wash their own uniforms; it’s good laundry practice. Buying a few uniforms plus clothes for weekends and holidays can save a lot of money and reduce your children’s overall wardrobe needs. 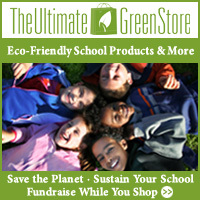 Schools can also hold used uniform sales, which allows you to keep things even more eco friendly. You can buy uniforms previously owned by other students for less money, rather than spending on new ones. Our school has parents donate used uniforms and uses the sale as a PTA fundraiser. And of course if you have more than one child you can have them hand uniforms down. I don’t do this between my son and daughter – the difference between girl and boy clothes would make them too self conscious, even though the differences in the uniforms is pretty small. My daughter’s uniforms sometimes get passed on to a friend, but only if they survive my daughter’s not so gentle use. I like handing them down directly rather than going through the school’s sale because I know a few friends have really tight financial situations. The only eco disadvantage I can think of for school uniforms is the material. Can’t really get away from polyester when it’s mandated in the dress code. If you’re buying new school uniforms, think about where you’re buying them. Look for stores that pay attention to the condition workers have when making clothes for their company. Pay attention to clothing quality so you won’t have to replace clothes that wear out too quickly. Land’s End, for example, has sustainability programs in place, and has a list of how they comply with their Global Compliance Program to avoid using child labor, slave labor, etc. JC Penney does as well. Justice/Brothers (Tween Brands) also lists how they maintain supply chain transparency. These are the ones I’ve peeked at so far. A part of what each of these companies list on their sites is required by the State of California, and what I don’t know yet is how effective these are. After all, even Walmart states they have a focus on global responsibility. 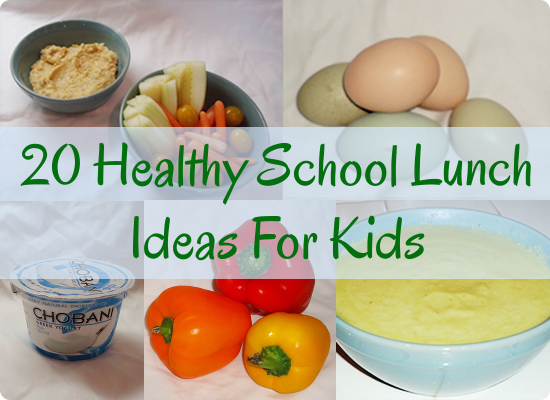 Kids need something to do over the summer, after school, pretty much all the time. Playing outside is a great idea, but sometimes the weather doesn’t cooperate or they just need some cool down time indoors. Crafts are a wonderful activity for kids, something to allow them to be creative. You don’t have to buy books on crafting, just have the supplies ready and let your kids go at it. If you can keep the supplies on the eco friendly side of things, so much the better. Think about crafts the kids can make more or less on their own. It’s good for them to make things without your help, even if they don’t look just right. Start your kids’ craft supplies with recycled goods. Junk mail, newspapers, cans, bottles and so forth. The great part about these supplies is that you don’t have to buy them. If your kids are interested in sewing, old clothes may be another option. Some clothes just won’t be worth handing down, but might be okay for crafting. Take a look and see what you can find. There are some pretty nice eco friendly crayons out there. Some have fun shapes while others look more like regular crayons. There are a number of brands to try. What’s crafting for kids without glue? They will want glue at some point, so make it the safest you can.